The Wheels of Wellness started in 2006 between a partnership of the Escambia County Healthcare Authority, The Coalition For A Healthier Escambia County and The Community of Escambia County Alabama. 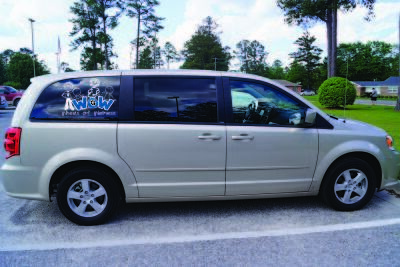 The Wheels of Wellness provide transportation services for healthcare appointments and treatments of pediatric patients and expected mothers without other means of transportation. Services are offered for both local healthcare appointments as well as health care appointments at larger medical facilities for medical treatments not available in Escambia County. Since the inception of the program, Wheels of Wellness has provided approximately 1,400 trips, which total over 166,000 miles traveled.